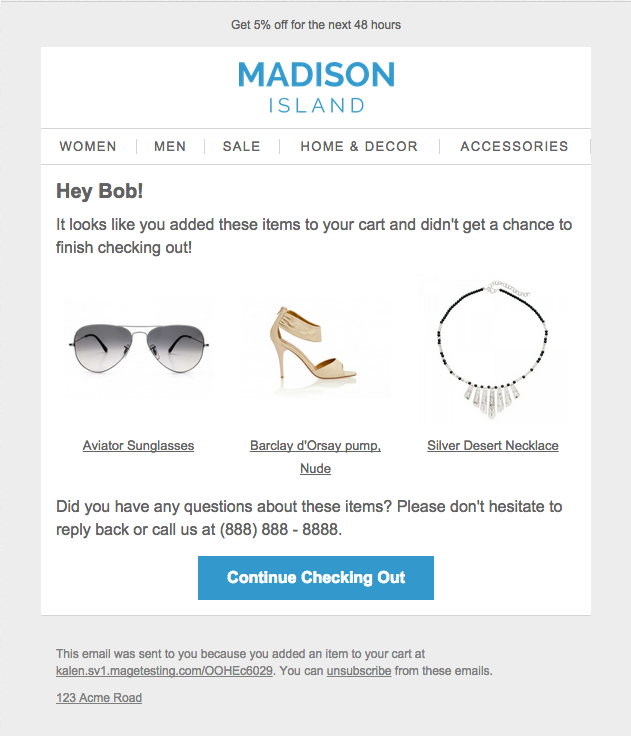 How do you enable the top navigation in emails? There's a standard top navigation that you can enable for your email template. On mobile, we can show only the first three items since there's less space. You can enable it by dropping this HTML under Settings > Template > Top Navigation HTML, and just modifying the links and the names of the categories.